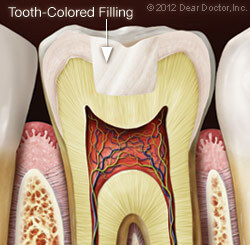 There are a variety of materials used to fill teeth these days, but the process of filling a tooth is similar regardless. 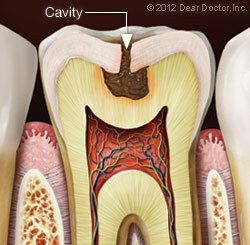 The first step is a clinical exam of the tooth with x-rays, to determine the extent of the decay. 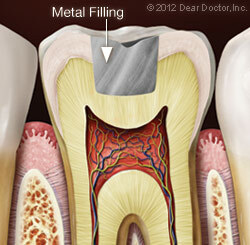 Then the decayed area of the tooth is removed, usually with a handheld instrument such as a dental drill. Of course, your tooth will be anesthetized first, so you won't feel any discomfort. If you normally feel nervous about receiving numbing injections, it's possible that taking an anti-anxiety medication can help you feel more relaxed. After removing the decay, the remaining tooth structure is roughened or “etched” with a mildly acidic solution; then translucent cement is applied to bond the tooth and the filling material together.